Garlic is a very satisfying plant to grow. Few pests attack it, it prolifically multiplies, it peacefully coexists with weeds and, in the kitchen, it is a very versatile and delicious food ingredient. The garlic at Heart & Sole Gardens grows from parent plants that are likely well over 100 years old. We transplanted our first bulbs from an old “home place” where, although a house no longer stands, garlic and daffodils are abundant. Fast forward eight years and our garlic rows now hold hundreds of plants. 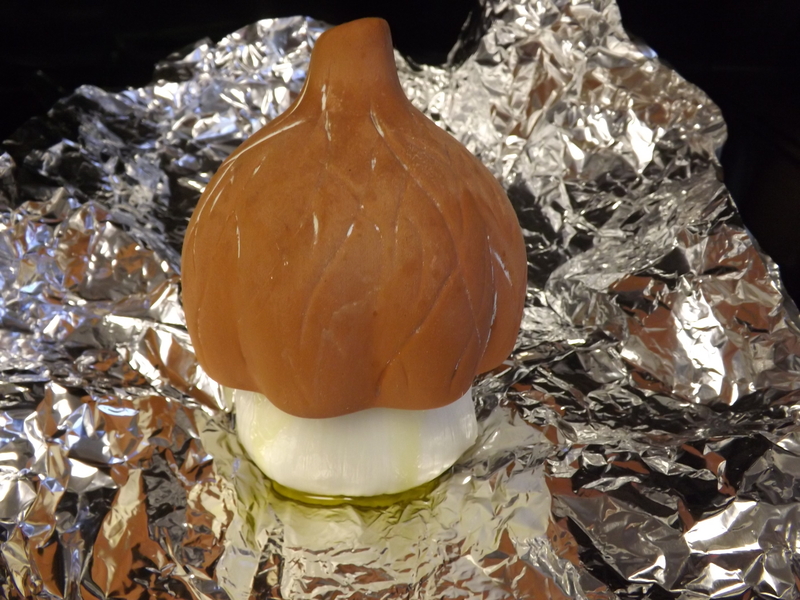 This garlic, we believe, is very special. 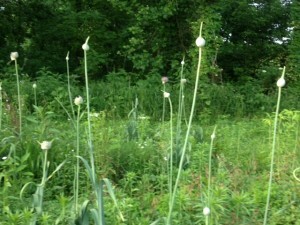 To begin our garlic tale, it is necessary to examine the history of these plants. The property adjoining Heart & Sole Gardens, until recently, belonged to a man who had no interest in harvesting the garlic or using the land in any way. 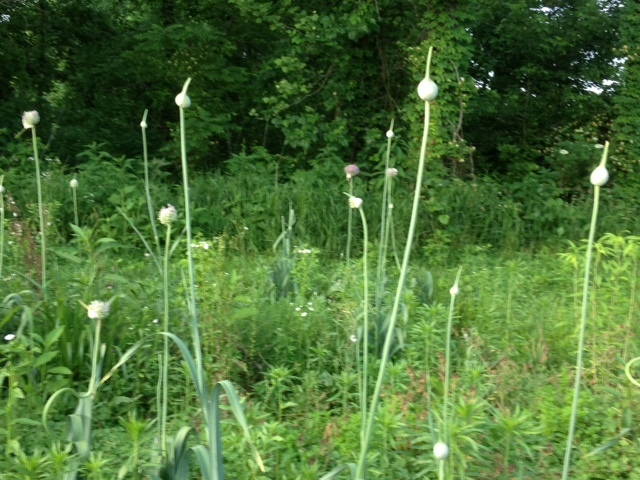 Left to their own devices, the garlic bulbs multiplied freely and now grow in clusters over much of the property. 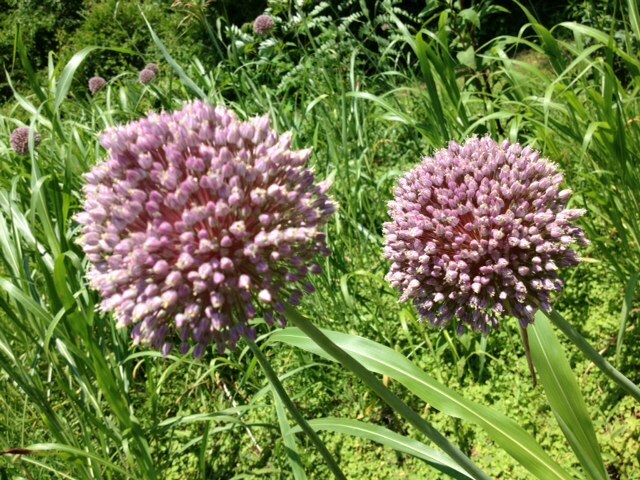 With permission from the owner, Richard and I transplanted bulbs to Heart & Sole, but we often worried about what would become of the garlic, daffodils and other heirloom plants that remained at the home place. As we learned more about the woman who once lived on this property and probably planted the original garlic bulbs, we became increasingly intrigued by her story and her land. . . According to my mother-in-law, now eighty-eight years of age, the land adjoining Heart & Sole belonged to a woman named Laura Watson. By all accounts, Laura was a strong woman who worked her farm and raised her children. When Richard’s mother was a young child, she lived with her family not far from Laura’s home. Fiercely independent, Laura managed to provide for her children without a husband in her home. Perhaps she was a widow or maybe her husband abandoned her, but by the time my mother-in-law was old enough to notice, Laura was the sole provider for her family. Today, a dry well, some scattered stones and rusty cans and broken glass, remnants of what was once a trash pile, mark where Laura’s home stood. Garlic, daffodils and a few other flowering plants are her living legacy. On the day we became the new owners of Laura’s home place, I worked at the farm for several hours. It was a hot, sunny, dry day and when I finished my work, I decided to walk over to Laura’s. I sipped from a cup of cool water as I made my way up the path that led to the dry well. Although the day was blistering hot and there had been no breeze for hours, as soon as I stepped over the property line, I felt as though the temperature dropped by twenty degrees. A cool breeze began to blow, tall grass stirred and tree branches began to sway, their leaves beckoning me forward. As I stood beside the sight of Laura’s former home, I promised to be a good caretaker for her property and I thanked her for sharing her home, her plants and, most of all, for sharing her garlic. 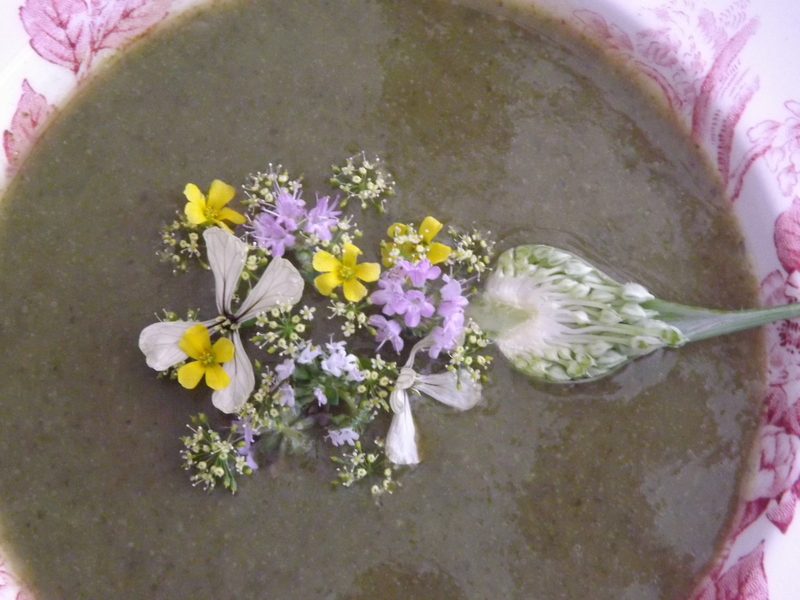 A garlic scape and other edible blossoms make a beautiful garnish for garlic soup. 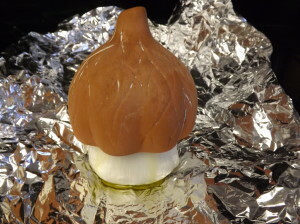 When fully mature, Laura’s garlic is too large to fit in a garlic roaster. 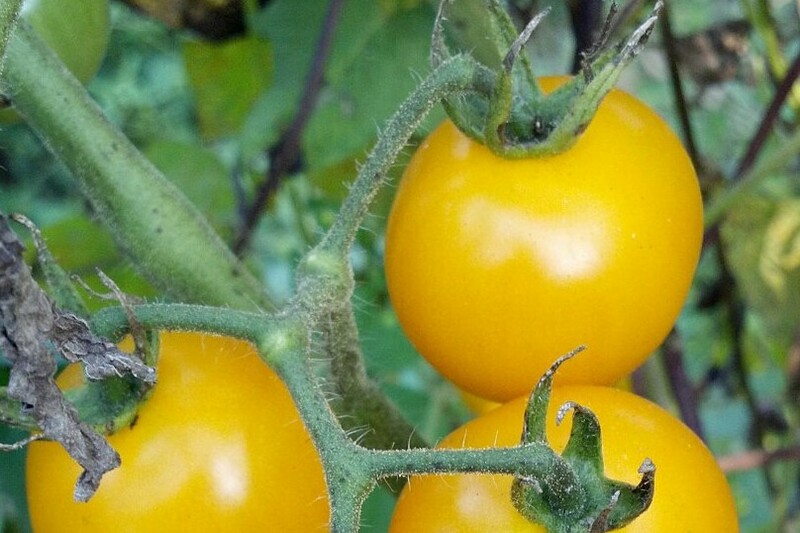 This entry was posted in Heirloom Seeds on January 14, 2015 by cindybarlowe. Heirloom Squash = Free Food!